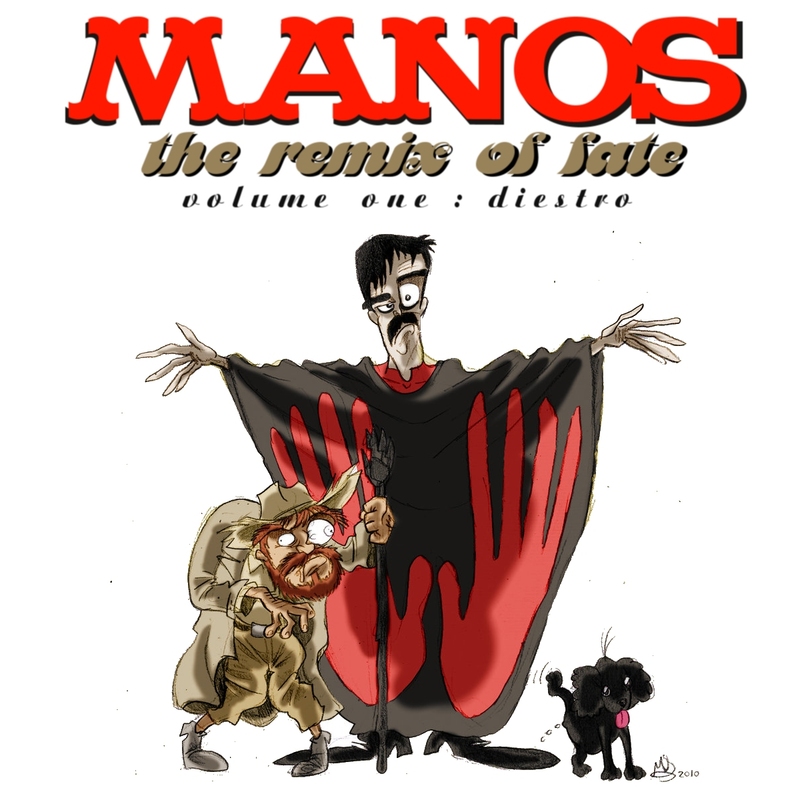 Well, here it is - Volume 1 of MANOS: The Remix of Fate! Volume 2 is available here! Back in June I discovered that in addition to the film Manos: The Hands of Fate being remastered in hi-def for DVD and Blu-Ray, the soundtrack to the cult-classic bad film was also released on Bandcamp, and licensed under CC-BY-NC. So the call for remixes was issued, and this compilation is the result. This has been fantastic to put together, and I couldn't have done it without the generous help of Marc Weidenbaum of disquiet.com and everyone who contributed something from the Junto Soundcloud community, run by Marc. Also major thanks for support from the fine people at the Free Music Archive for help getting the word out! Please visit the artists pages and support them however you can. Due to the large number of entries, we've split everything up into two separate volumes - the second will be released next week on October 29th. Cover illustration by mariods (used with permission). Mysterious house mystery by Jeff Kocan is licensed under a Attribution-NonCommercial-ShareAlike 3.0 International License.